Because you should decide where you go, not your joint pain. Number One Glucosamine will help you regain control of your life and maintain healthy joints for years to come! 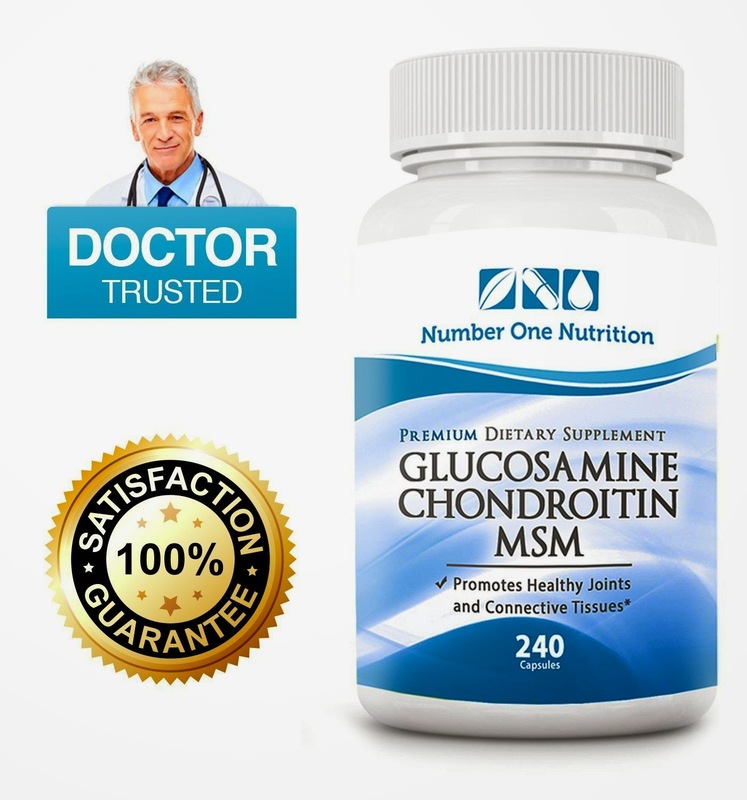 -Glucosamine Chondroitin MSM – What are they? -Glucosamine is responsible for building cartilage, ligaments and tendons. We need them to protect our joints and allow our bodies to move freely. -Chondroitin will help our joints be more flexible and elastic. -MSM is fundamental in the creation of collagen, elastin and cartilage which will ensure healthier joints. 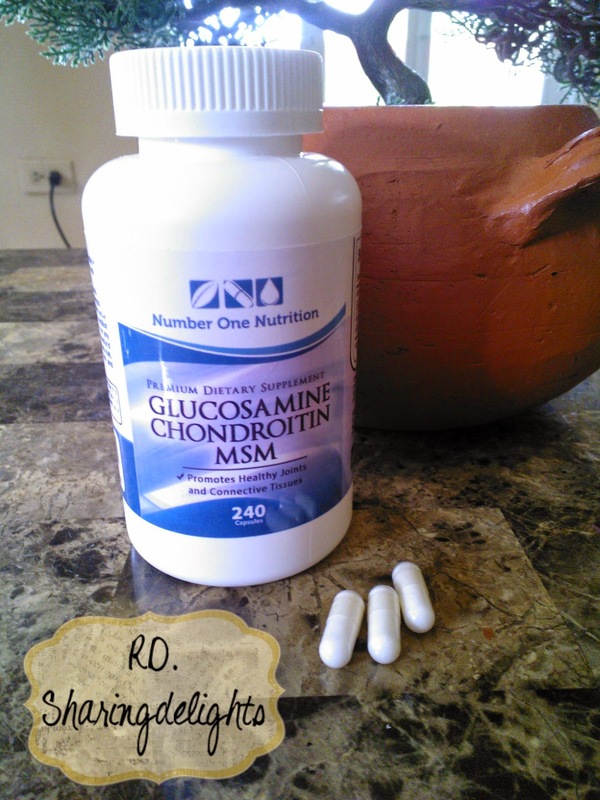 Glucosamine Chondroitin and MSM occur naturally in our bodies. However, their production is decreased over the years. As the bone protecting cartilages become thinner, the bones will not be protected when we move. This will cause much pain and discomfort. Taking high quality supplements is a safe and efficient way to replenish our bodies with the needed amount of these substances. Glucosamine Chondroitin and MSM are responsible for building and keeping healthy cartilages that protect our joints! If we can keep our joints strong, they won`t stop us! Recently I recieved the "Number One Nutrition Glucosamine". Let me tell ya they arrived in the perfect time, My Husband suffers from joint stiffness and aches and pains on his hands and knucles and I have a bad knee that tends to get achy and stiff specially when its a humid or rainy day. This bottle comes with 240 tablets,It is recommended you take (3) three tablets a day,which means it will last for (3) Months(80 days.) Since taking these pills we both have felt less joint stiffness and less aches and pain so far. 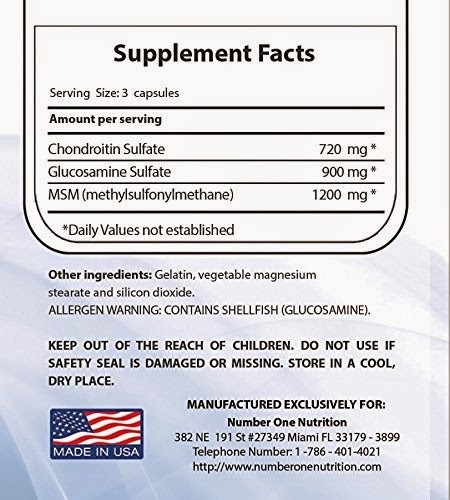 I will continue to use this One Glucosamine as my daily regimen and with a healthy balance diet. Interested in purchasing this product? Head on over to Amazon now!